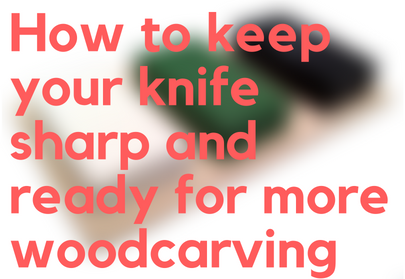 Find the best wood carving tools, guides, tutorials, and more! Back at it again with the Morakniv! 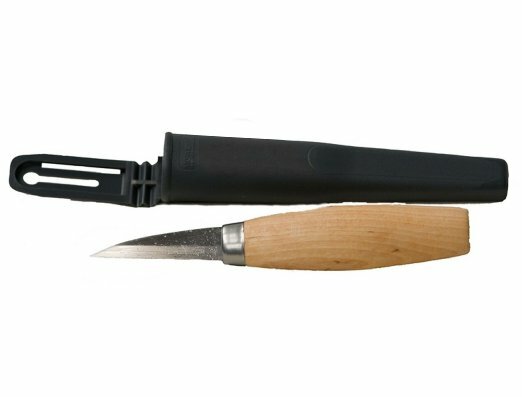 Manufactured and created for over 100 years in Mora, Sweden: the Mora 122 is a knife for whittling. But not just a general carving knife like the 106. The Mora 122 is uniquely crafted for detail work. 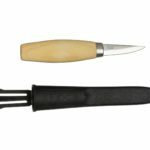 This precision tool is designed with oiled birch wood attached to a customization full tang laminated carbon steel blade that fits comfortably and firmly in your hands. It’s undeniable small body is a direct correlation to it’s intended purpose. 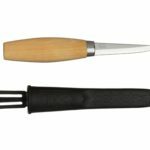 This knife is made for removing material from a spot that is otherwise difficult to achieve with a different size knife. A task like this receives a lot of help from the thin tapered blade. Seeing as how the last few Mora knives I have reviewed have been wicked sharp right out of packaging, I wasn’t nearly as hesitant to confirm that again. Regardless, I tested it’s edge by shaving some hair off my arm. I brought out some hard maple wood to put it to a real test and wasn’t as confident how it would hold. 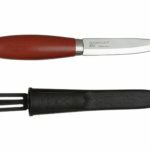 Something you need to know about the Mora 122 laminated steel is that it may bend easier than other knives you have used. This deliberate feature is intended for configuration of the blade when particular uses are necessary. That made me nervous, and carved anyway. Lo and behold, it held it’s edge better than most of my other knives would against hardwood. Although, something it is not good for is hacking and prying, this knife specializes with shaving and performing detail specialty cuts. What is a specialty cut? Specialty cuts are detail carving techniques that are more complicated than your basic push cut style. 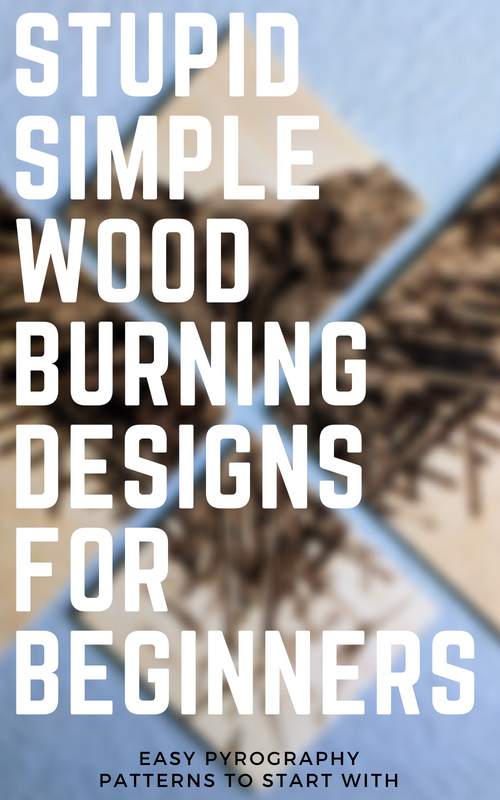 Typically, they are implemented to remove wood material in tight crevices or to make an advanced piece. 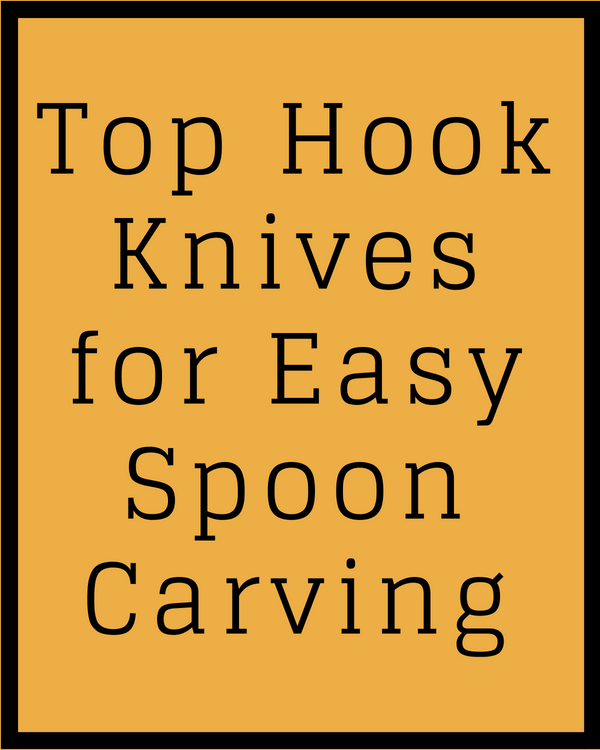 Controlled thumb-push cuts are usually implemented with this knife to utilize it’s thin tapered blade. This can be for carving eyes, feathers on a bird, etc. 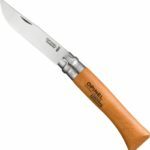 This intended blade style is ideal for getting wood out of small, deep crevices. Dropped point blade styled knives would be quite useless for those situations. Detail work with the mora 122 makes things much easier with its accuracy, thumb-push cuts, and long lasting edge. The accuracy of the blade can only be as good as it’s handle. With that being said, it can be assumed the handle is quite comfortable. The spindle shaped frame is structured this way for optimal grip. The larger portion of the body sits in the center of your palm while the tapered ends provide room between the handle and your fingers. 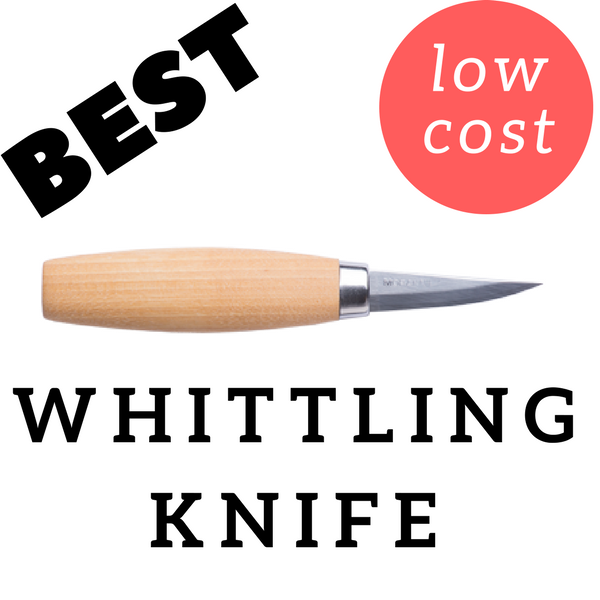 This gives your fingers more circumference to hold the knife firmly and adjust carving techniques. 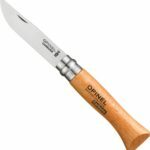 Adjusting the handle shape to your liking is also an option with this wooden handle. Not intended for removing anything but shaved pieces and small bits of wood. It is just not what this knife is meant for, think of using a bushcraft knife. The mora 106 or 120 are better suited for this. I received great detail work with this knife. The short 2.4″ blade with its fine point found easy completion with various tasks that required its unique and useful frame. Easily a knife to have ready to use at any given time. 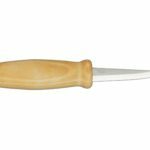 Carving smaller objects or adding intricate designs to a piece will see success with the mora 122. The blade did not come lose at any point while I was removing material. It is a full tang blade, so that is not an issue with this knife. It comes with a plastic sheath which is only useful as a temporary place holder. Leather pouches would be better. thank you. very good review.